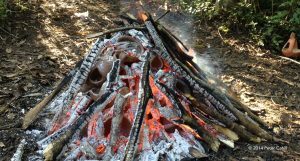 Potters from the mountains and valleys of the Cahabón basin, to use clay, to coil talk around truth-telling, to open reconciliation and draw out our inheritance. The story of the collective, started with a dream and a metaphorical idea. Pottery makers of the Q’eqchi nation have carried their cultural traditions of orally across generations. In the majority of lineages, knowledge is taught by grandmothers. 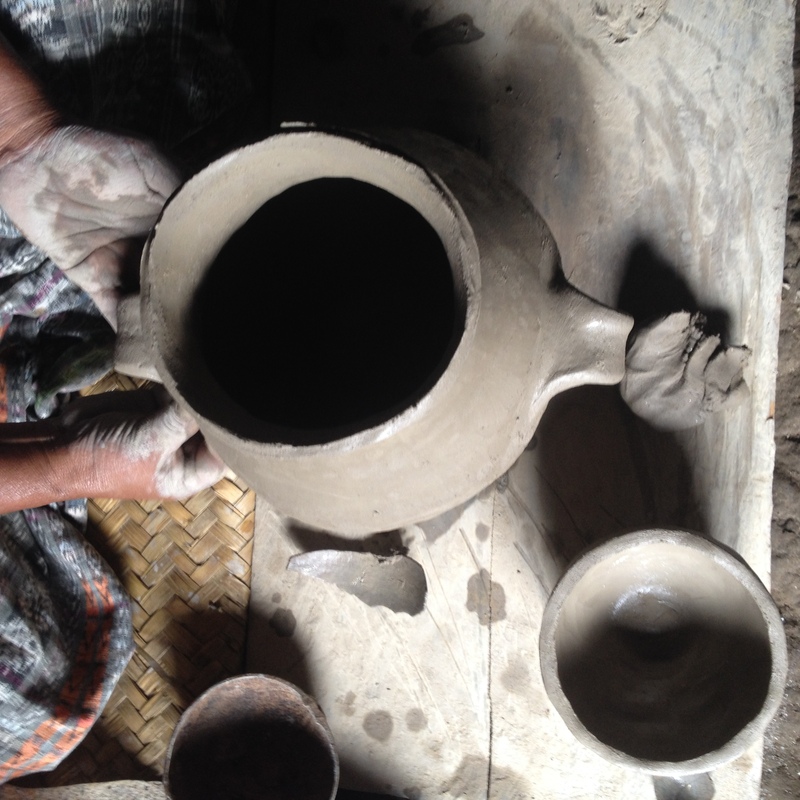 As a result, the styles and methods employed by potters vary greatly from village to village. As everywhere else, today, the economy is changing in the Cahabón river basin, the cradle of highland maya culture. While these heirloom practices have never in their history been static, ongoing dynamics of colonization heavily alter the patterns of growth. Hence, Q’eqchi’ ceramic art is in a fragile state. 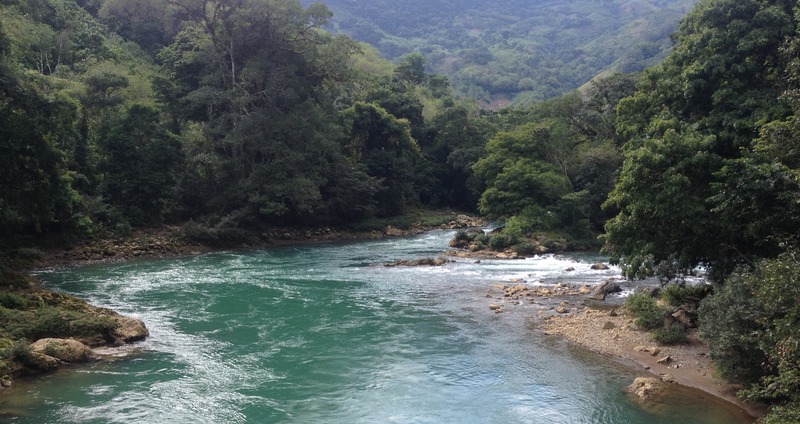 Since the violence, the state of Guatemala has welcomed new economic influences. Causing damage in the local markets. Moreover, people continue to exploit natural resources. As a result, the cost of production has grown while market prices remain stagnant. Tributaries of the river Cahabón formed the deposits of clay where we mine. Where through many generations, the ancestors of the potters of Chichen, Chakalte’, and Chajwal mined clay. Social practice, known also as participatory art, is a hybrid art-form. It exists in the junction of activism and pacifism. Here, the product is the collaboration of the artists toward a common goal. 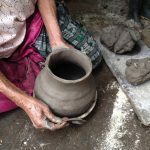 The idea for the Verapaz Pottery Collective is to pursue reconciliation —meaning, with the use of clay, to spin dialogue around truth-telling —and to help fix rifts in our understanding of this inheritance. Elvira Bol shaping a water jar. The artist and thinker, Mako Fujimura, recently coined the term culture care. He refers to the task of giving import to beauty in everyday life. Most of all, in times of anxiety and suffering. Contemplating this concept within the landscape of the Cahabón watershed, we can see a metaphor of this process and beauty in the cloud forest ecosystem. The peculiar beauty of cloud forests is in their function as a net for catching clouds. Just so, giant oaks and laurels are draped with mosses, ferns and orchids. This system collects droplets; drips and drains them into the spongy soil. In a parallel way, the processes of making pottery, condense and nurture lived culture. They capture the floating abstractions of stories, and make them a solid body. That is, an object made to be used daily and enjoyed.